The following is a discussion of fourteen common mistakes made by first-time or novice Buyers in their search for a business to purchase. Use this checklist to help you from making the same wrong moves. From experience, brokers recognizes the necessity of having a reserve of funds for working capital including, operating costs, transition costs, changes desired by the Buyer after purchase, additional advertising and a safety margin. The BUYER'S ASSESSMENT of his financial resources should be made prior to searching for a business to buy in order to focus efforts on acquisition candidates that fit financial capabilities. Owning your own business is “the American Dream.” To convert this dream into reality the Buyer must have a practical perspective. It is not realistic to expect to invest $10,000 or $15,000 and earn a first year profit of $100,000. It is not realistic to acquire an established company with a growing customer base, numerous employees, and assets – and expect to be an absentee owner. Yet the above are true examples of Buyer misconceptions. As you continue to collect information, ask questions, read and pursue specific business opportunities, you will begin to gain a feel for the market. This could take from one month to six months for a full-time Buyer or over a year for someone investigating businesses on a part time basis. Know what questions to ask when meeting with Business Brokers and Business Owners. A Business Broker will help you understand the process of buying a business and, after a standard pre-screening procedure, will provide you with the information you need to determine your level of interest in a given business. The Seller too, from your first meeting, should be candid and open in answering your questions unless they would prematurely reveal trade secrets or proprietary business information. Many Buyers begin having problems when they don't understand THE STANDARD STEPS in the process of buying a business. Each step has a specific purpose and sequence, which when followed will save all parties -- Buyers, Sellers, Brokers, professional advisors -- time, effort and money. Beginning Buyers can easily fall into the trap of trying to investigate and pursue every business currently on the market at the same time. The logic behind this approach is: “If I see enough businesses, I’ll eventually recognize what I’m really looking for.” Unfortunately, this scattered and unfocused method seldom works at all and the excessive time and effort it requires quickly burns out the Buyer, and the business broker, for that matter. Again, by following the correct sequence of events, the Buyer can gain direction and channel his efforts towards those business opportunities most suitable to him. It’s quite possible to find yourself falling in love with a business. This, in itself, is not necessarily harmful. In fact, it’s important that you can feel an attachment to the business you’re buying. However, the danger is in allowing your infatuation to blind you to the economic realities of the business. Follow the proper guidelines and PERFORM DUE DILIGENCE in order to make a measured business decision. This decision should be based on a realistic assessment of both the positive and negative expectations of the business, while allowing for an acceptable level of risk. The Buyer should understand that Sellers list their companies with professional business brokers because they realize that they don’t have the personality, temperament , or time to deal with a wave of potential Buyers. The Business Broker is the buffer between the two principals and facilitates communicate allowing a calm, smooth negotiation process to occur. When a business for sale is listed at a very reasonable fair market value and would be an excellent purchase at the listed price, the Buyer still believes a lower price must be negotiated in order to get a good deal. The Buyer cannot justify in his own mind paying the full asking price even though it may be an excellent acquisition. In our everyday lives, practically everything we purchase has a price tag and we simply pay the stated price. We are not conditioned to negotiate the price we pay for our groceries, for example, nor is it acceptable. However, when attempting to purchase a business, which is perhaps the most important financial decision of our life, we expect to be able to negotiate a low-down, bargain price. Unfortunately, we may not have the experience, skill or temperament to negotiate at all. Those Buyers unwilling or unable to negotiate for themselves would do well to seek the assistance of experienced advisors because it is successful negotiation that gets a deal done. Both Buyer and Seller should recognize the benefits of a well-documented transaction which is truly in the best interests of all parties. Whenever possible, every major agreement, understanding or obligation of the parties should be clearly defined in mutually agreeable language, signed or initialed, dated and retained for future reference. Many Buyers make the mistake of spending a great deal of time collecting massive amounts of data on the business and little time trying to interpret what they have collected. If a Buyer does not understand such things as cash flow, add backs, recasting, owner’s draw, or debt service, he should make himself knowledgeable in each of these important areas and seek the assistance of a transaction-experienced accountant. Another common mistake of many Buyers is to blindly rely on verbal statements and claims made by the Seller or his agent, without verifying their accuracy or validity. One Buyer, who made an offer on an Italian restaurant, relied on the Seller’s opinion that the neighborhood road construction project would be completed within 60 days. A couple of follow-up phone calls would have revealed that the project was not scheduled to be completed for another 8 to 10 months. Had the Buyer realized this fact prior to buying the business, he could have negotiated terms which would have reduced his debt service payments to the Seller and thus, improve his cash flow position during his first year of operations. Once again, verification and follow-up is the responsibility of the Buyer and this is the purpose of the due diligence phase. The advisor works for you and should provide support and counseling to help you reach your objectives. Seek advice from professionals in their own area of expertise only. Don’t seek detailed tax advice from a banker or market value advice from an attorney. Supply your advisors with pertinent, factual information upon which they can give you sound advice. Don’t expect anyone else to decide whether a business is a good deal or RIGHT FOR YOU, as this is a decision only you can make. Don’t seek professional advice prematurely. For example, don't hire an accountant to do extensive research on the potential tax consequences of a business acquisition before the business has been investigated and a tentative agreement has been reached. In their sincere efforts to avoid making a mistake or jeopardizing their family’s savings, many novice Buyers will often defer making any decision on a potential business purchase. Their logic is “if I’m meant to get the business, I’ll some how get it. If not, then it was not meant to be.” Unfortunately, these Buyers are allowing fate to control their destinies. Those unable to ever make a decision and take action would probably be wise to avoid attempting to buy a business altogether, because successful ownership requires the ability and willingness to make decisions and accept risks on a daily basis. 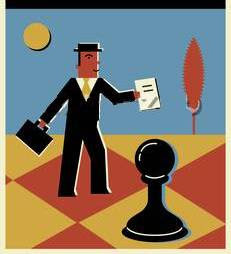 Professional advisors can make or break a deal. Buyers must articulate their wishes to their team of advisors in order to have them working together towards a common goal. Each advisor, such as an attorney or an accountant, has a specific role in the transaction and should be working on behalf of their client -- you the Buyer -- to achieve the objective for which you engaged them. « Buying or Selling a Business? What is the CPA's Role? Looking For A Business to Buy in Houston? Who Do You Call?